The Internship Roundtable is a chance for students to hear from other students about their internship experiences and provide guidance for the upcoming year's interns. 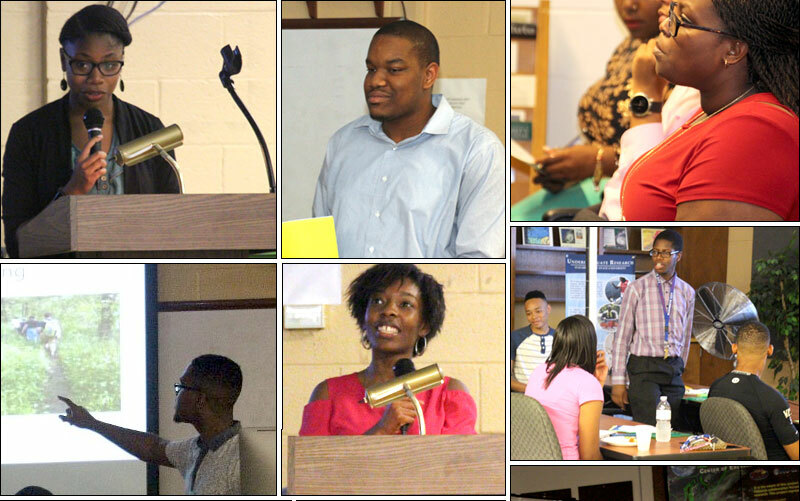 Various students presented research experiences, upcoming internship opportunities, methods of obtaining internships, and the rewards of a good internship experience. 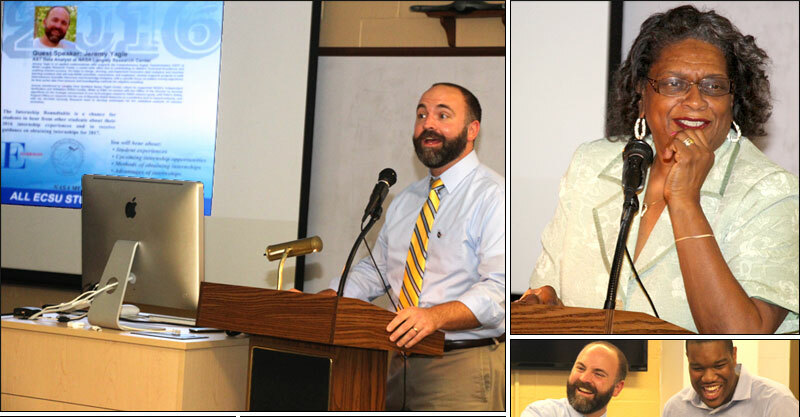 Dr. Linda Hayden, Director of the Center of Excellence in Remote Sensing Education and Research (CERSER) welcomed guests while Jefferson Ridgeway introduced the guest speaker from NASA Langley Research Center, Mr. Jeremy Yager, an AST Data Analyst. Mr. Yager spoke on the internship opportunities at NASA and the various career paths that individuals can take with NASA. His bio can be found here.